Review: Three Characters in Search of an Author—M. Night Shyamalan's "Glass"
Kitai Raige: I've heard stories of Earth. A paradise. Until we destroyed it. 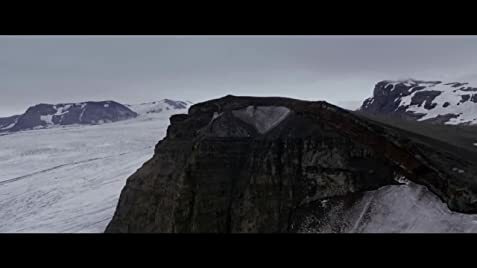 This film is about a space craft that crash-landed on a dangerous planet called Earth, and the only two survivors have to struggle to stay alive. The first few minutes of "After Earth" already look not so promising, and it only goes downhill from there. Acting is consistently bad by Jaden Smith, he is so annoying as a teenager who constantly freaks out. Will Smith is supposed to be a fearless commander, but his supposed bravery makes him so wooden as if he was a wax statue. The plot is simply ridiculous. There are so many plot holes that are so obvious, that they simply should not happen. For example, if Will Smith is such a great commander, how could he not command people to wear seat belts when they were about to hit a meteor shower. And the masks are not even connected to anything!? The whole story, from the macro level to the micro level is very poorly written and makes no sense. The supposed emotional climax is so weak, that I wonder if that scene is really supposed to make me feel proud of what is shown on the screen. 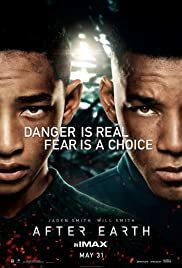 "After Earth" is a terrible mess. This time, believe the critics. 360 of 501 people found this review helpful. Was this review helpful to you?